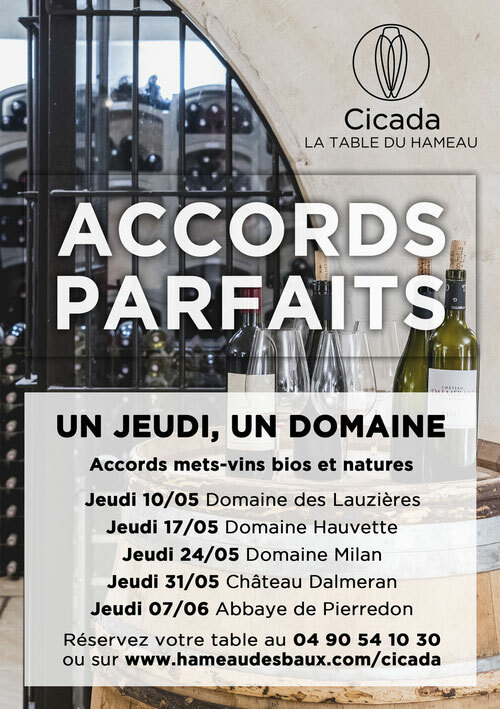 Every Thursday, starting May 10th to June 7th, Cicada, the restaurant at the Hameau invites you to discover organic and natural wines from the Apilles countryside. A wine and food pairing dinner will spotlight one winemaker per evening, allowing guests the opportunity to discover several of his vintages. Prepare to marvel at rich, millennial, locally grown products and reverse all prejudices against natural wines. Since the use of sulfites has become systematic in wine making, natural wines suffer from too many preconceived notions and opinions over their taste and fabrication - mainly due ignorance. “Too fruity”, “it’s grape juice”, “they’re volatile” are just a few of these common preconceptions, which disappear during the actual tasting. 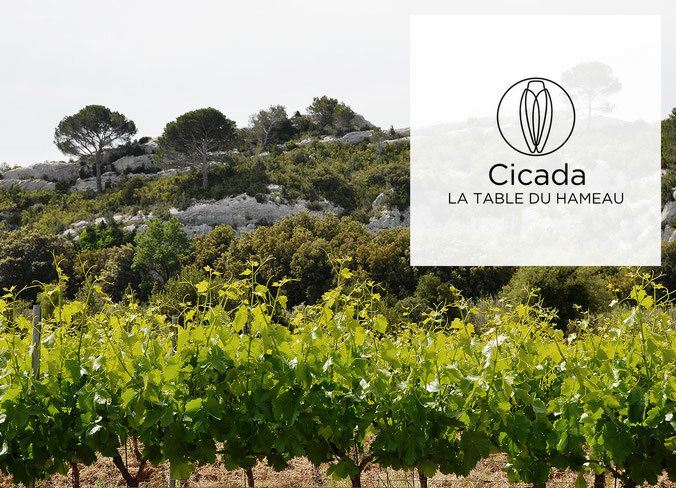 Le Hameau des Baux and its gourmet restaurant, Cicada, are eager to promote these wines, by offering a choice of mainly organic or biodynamic wines, 70% of which are locally grown in a 40 km radius around the hotel. 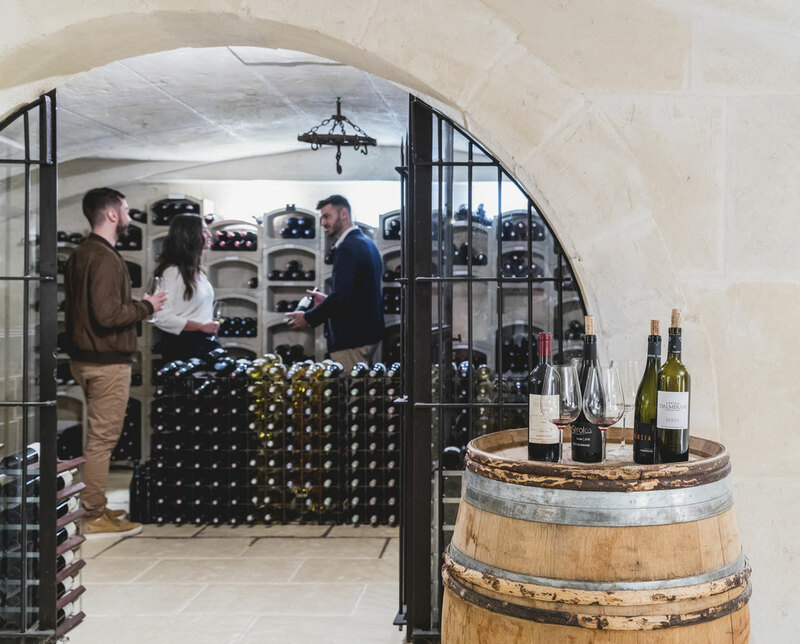 “We are extremely lucky to be located in an exceptional region”, says Loris Bozzato, sommelier and mixologist at Le Hameau. “We are surrounded by passionate professionals who have been working for a long time with biodynamic principles and who create wines of unparalleled quality.” Biodynamic culture is in some ways similar to organic farming but with more drastic principles: “… main agricultural regulation, in biodynamics, is to avoid all industrial chemical input (fertilizers and crop protection products). The land is treated with herbal infusion and decoctions that feed the grapevine. The amount of stabilizers used in the wine process, such as copper –a metal particularly difficult to get rid of and sulphites are minimal. Harvesting sometimes at night, allows picking grapes when they are fresh and thick, and go according to lunar cycles.” These wines, all produced in the Alpilles Country or countryside, are particularly well-balanced and have a stunning personality. Amongst Loris’ favorites, he features Hauvettes, Milan and Lauzières wineries - the last being a delicious 100% Mourvèdre vintage, a Mediterranean grape from Spain. These are just a few the wines available to taste, and discover more extensively on Thursday nights at Cicada.